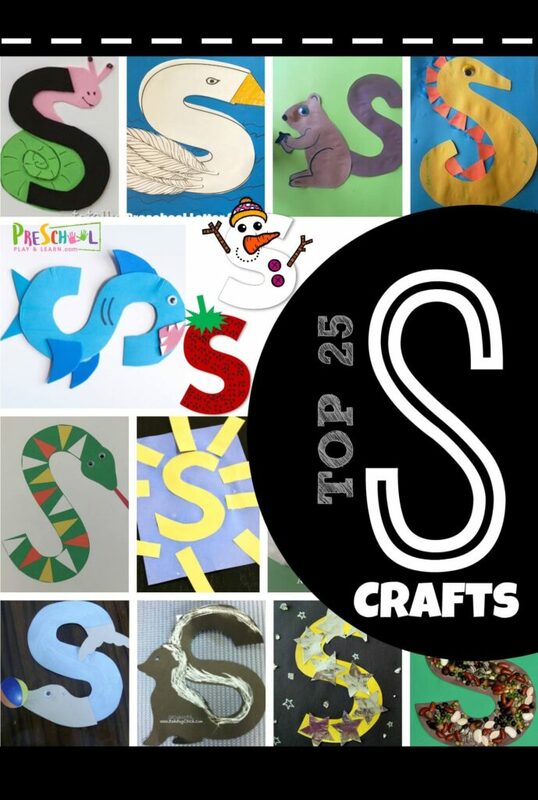 Get ready for an epic letter of the week unit with these TOP 25 Letter S Crafts! So many clever craft for kids from toddler, preschool, prek, and kindergarten. Printable S is for strawberry Letter Craft – free template to print, color, cut, and paste / tape. Super pretty and graceful S is for swan from Teach Beside Me is a fun project. S is for star is a fun to make art project that can be as ornate with foil or simple with stickers are you like. Whether you are studying bugs, it’s Halloweentime or you just want a fun project, this S is for spider letter craft from ABCs to Acts is perfect! Printable s is for snowman Lowercase Letter r Craft – NO PREP! Just print free printable, color, cut and paste these cute alphabet crafts. This shark craft made out of muffin liner is adorable! S is for Slime – so why not try to make this incredible 2 ingredient WOW Slime! Spider headband craft is so cute and fun to make with young kids!